RAVI JAGADASAN was born in 1982 in Durban and raised in the heart of Palmview in Phoenix. He finished matric at Palmview Secondary and, due to his humble beginnings with no opportunity to study further, he went to work in a family business in Richards Bay. After relocating to Durban to help his dad in his transport business, Jagadasan spent several years in the transport industry learning vital business lessons from his father. They worked closely together, and he learnt to look at the big picture of a business, how to read financial statements and use data to make sound decisions, and how to be a strong leader to his employees. In 2008, with no retail experience, Jagadasan was offered the opportunity to open the first Spar store in the Phoenix area and decided to take on the challenge. "That was when my love for retail started to blossom, from choosing the tiles for interior floors to recruiting all of the employees," says Jagadasan. "It took months of planning, perseverance, sleepless nights and dedication until we proudly opened our doors to the Phoenix Community, on May 23, 2008." Jagadasan is determined and vigorous but has the ability to remain calm in the worst of situations. He points out, "One of my key strengths is knowing how to control my emotions. As a leader, it is also critical to have problem solving skills, and to be able to think on your toes. I'm able to communicate with my staff effectively, I have respect for them and I believe that without a team effort in retail, things usually go downhill fast." He strives to instil strong family values in his team. "I value their input and they realise this, and respond. Ultimately, however, the final decisions rest with me, and I'm prepared to make the tough decisions, particularly when it comes to responding to competition around me. Honesty and integrity are consistent, and I work steadily to develop my business." "Retail is complex and demanding, but I'm open to change and happy to introduce new systems in my stores. The industry is constantly changing, and the key to success is to keep ahead of your competition, even start new trends. I can sit for hours brainstorming my future endeavours." 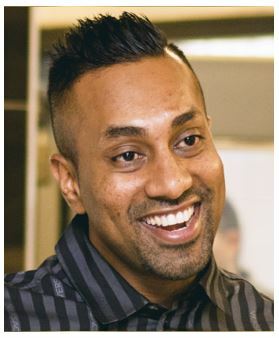 Ten years into retail trading, Jagadasan's business has grown exponentially, excelling both within the Spar group, but also on a broader business level, with seven world class Spar and Superspar stores in his own group. One of the biggest challenges Jagadasan faced along the way was staffing and creating a culture of teamwork with people from different backgrounds. Sourcing skilled staff remains a challenge, so Jagadasan adapted, and the company now trains and pskills their own staff. The greatest highlight of Jagadasan's professional career is receiving the award of Mr Spar 2017. "I am the youngest Mr Spar recipient to date and I am so proud to have made my mark in the Spar Group, and honoured by the respect they have given me," says Jagadasan. But in addition to this, Jagadasan has been recognised repeatedly in the Spar Group. His first store, Starwood SuperSpar, scooped the KZN store of the year in 2014 and won the National store of the year in 2016, the highest award for any Spar store. He also won another store of the year in 2017, for St George's Spar in central Durban. Right now, Jagadasan is concentrating on the opening of a new SuperSpar within the next 12 months and admits to having plans for further expansion when the right opportunity arises. Jagadasan credits his father as a major contributor to his business success. "He taught me that the sky is the limit, and gave me the greatest gift anyone could give a person; he believed in me." Apart from business, life for Jagadasan is all about family and a few good friends. He is devoted to his three sons and loves spending time with them. He and his wife were high school sweethearts and have been together for 18 years. "She is my soulmate, best friend, confidant. We work closely together on a daily basis, brainstorming important decisions for our stores. We rely on each other to build our strong empire and she is one of the reasons for my success." Jagadasan is also deeply committed to charity work. "I believe that God has chosen me to help others, and that I can make a difference to the underprivileged and impoverished. Charity work also keeps me grounded, always appreciative of what I have." He lives by the motto, "If you believe in what you want, you can achieve it. The sky is the limit, so take risks and believe you will prosper." This has clearly served Jagadasan, and his team at Star Retailers, very well.